Ryse: Son Of Rome has been moved over to PC after its initial release on the Xbox One. Could this be the benchmark for the current generation of gaming? At last, Ryse has been ported to the PC after its original debut on the Xbox One, but will Ryse: Son of Rome rise to the top of the PC charts or simply come crashing down on a format it may or may not be suited to? 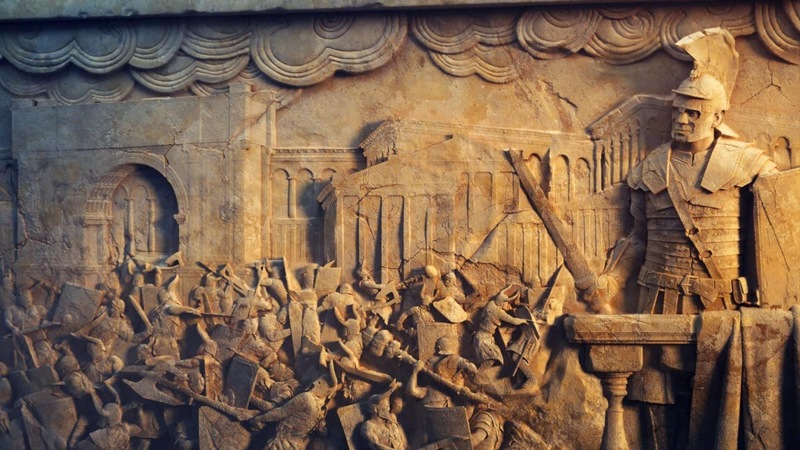 The story in Ryse: Son of Rome is that of revenge. You play Marius, a recruit to the Roman Legion and as the story progresses, so does your rank within the Legion. The loss of a loved one is the catalyst for your direction in life and through manipulation, betrayal and murder, your journey is not made easy. Historical figures are strongly present here, with the likes of Boudica and Nero, as well as Marius' best friend and Commander - Vitallion, of whom you'll be spending a fair bit of time with over the course of the game. Though what Roman game would be complete without the inclusion of mystical Gods to cause a stir, who too have their own roles to play. Upon starting the game, you're run through a beginning tutorial to get you started, and it is this tutorial that sets the whole plot of the game in motion. Thrown into a situation that would have the main antagonist of the game slaughtered in seconds, you're quickly thrown into the shoes of Marius, not of this time, but of a not so distant past. Marius is the main focus of this story and as such, you find yourself seeing things from his perspective, all the while learning more and more as the story goes on. In short, with the exception of a very brief segment at the beginning of the game, Marius' adventure is a complete flashback that eventually leads you back to the start of the game for your final showdown with the one who wronged you most. Sadly though, the story came across fairly weak, with the plot making little to no sense at times, often jumping around more so than I'd have liked. Frequently, I found myself wishing to know more about the supporting characters of the game (hero or villain), and yet their personalities, motivations and backgrounds were hardly touched upon. 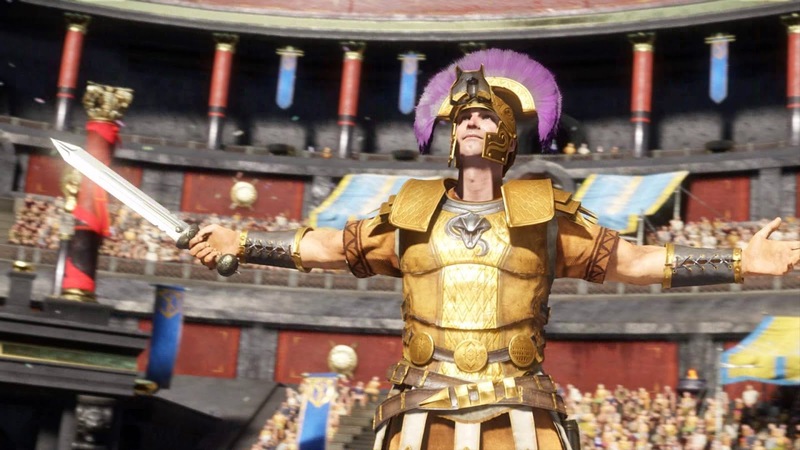 This might not have been too much of a problem, had the main character been developed enough, but even he seemed to sound out of place at times and even though his personality came through a lot stronger than any other character in the game, it still wasn't enough for me to feel immersed in the world of Rome, neither did it succeed in making the story memorable. As a result, I found the weak character development to be fairly off putting and sadly failed to develop any kind of attachment to any of the characters on offer, regardless of what historical significance they may have held. Perhaps the main reason this is an issue is due to the short length of the game itself, but even then I feel it's only a contributing factor to a game that had a lot more potential, but sadly fell short somewhere along the lines. For the most part, the gameplay is actually quite fun. Combat ranged from overly easy to frustratingly difficult and although different, handles similarly to that of Rocksteady's more recent Batman titles. It's all about timing, countering and dodging what your opponents throw your way, only going on the offensive when an opening presents itself. The combat itself is pretty brutal. You have a dedicated dodge roll button (which is set to shift by default - I didn't change this, so had to contend with "Sticky Keys" trying to activate for the majority of the game), with the mouse taking care of your sword (left click) and shield (right click) attacks. You can press these buttons to lash out with quick attacks or hold them for heavier attacks that usually involve a bit of risk, due to the length of time it takes to pull off such attacks. Spacebar is your counter button and when fighting a larger group of enemies, this will be your saviour as you dance between slashing, sword bashing, dodging and countering your way to victory. I threw it to the ground!! The E button performs your special takedowns and the more precise you are with your attack timing, the more points you get. Cut someone sloppily and you're given the grading of recruit, but time your attacks well and you'll see yourselves pulling off Centurion and Legendary hits. Kills also play a part in helping Marius continue his adventure. There are several kill rewards to choose from and these kill rewards are activated after every kill you perform. Increased damage or a slight health increase are two of the options available to you, but I mostly just keep myself permanently with the health reward. Playing it on the harder difficulty, you'll need it. For ranged attacks you'll find yourselves stocking up on Pilum's which can be held with left control and thrown with the left mouse button. You can also use mounted crossbow's scattered across the levels. Holding right click will aim/lock on for both the pilum and crossbow, while left click fires/throws your ranged weapons. In addition to this, there are sections where you have to be strategic in where to place the men who accompany you, with the R button usually providing support such as fire from supporting Archers. Time to make a grand entrance. 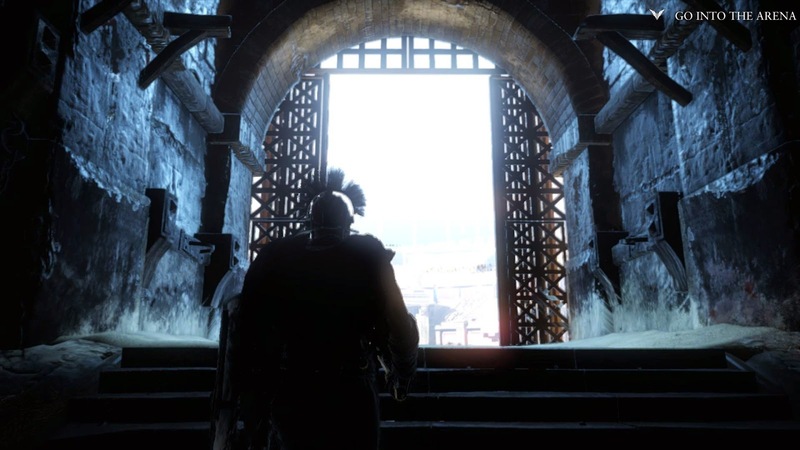 Ryse: Son of Rome is quite the cinematic experience also, and although it gives you control in places, these sections are usually quite small, routes are very linear and there are many sections of the game that simply feel like they're too much on rails, often making Ryse feel like an exceptionally long cutscene. Boss fights bothered me a little, because although you have to read your opponents moves (and have the option to counter at the correct time to parry, following up with a few more attacks you'd normally be able to get off), I found them to be a little too repetitive and so the enjoyment came more from their character design than the actual fights themselves. On railed sections include marching fourth towards archers with flaming arrows, whereby you can only move forward, covering yourself (and your men) in a walled and shielded formation or stepping out of this formation to throw Pilum at your enemies (usually Barbaric Celts) immediately after shielding yourselves from incoming fire arrows. The longer you aim at your ranged opponents, the more men you'll find yourselves hitting as more and more of your fellow soldiers take aim with their attacks. The more experience you get, the more upgrades you can afford. These upgrades range from extra attack damage, extra "rage" time (activated with the Q button to effectively make you temporarily unstoppable against all enemies bar bosses, as you unleash a flurry of fast and unblockable attacks) and even additional moves for single and double enemy takedowns. Honestly though, I didn't notice many differences in these takedown moves, seemingly because of how integrated the combat is, added to the fact attacks are mapped to very few buttons. There's not much to say here. The graphics are incredible and should be praised for the high level of detail put in. Costumes, scenery and war torn lands all help to give you a greater sense of what it could be like to live in Rome during this time period. The HUD is also quite nice to look at, with a health bar and "Rage Gauge" up in the top left hand corner, with your allies health just adjacent to it on the other side of the screen. This makes things easy to see as it's a very simply and clean way to show the most basic information you need to progress on with the game. I also quite liked the music for Ryse. Whether hearing ambient or loud booming sounds, the musical tone always seemed to fit perfectly with what was happening on screen. It's hard to say any one part of the soundtrack was memorable, but the music definitely adds to the experience during your playthrough. Sadly though. although the visuals were impressive throughout the game, I feel the main point was to have Ryse as more of a showcase title, to set down a benchmark of what we should come to expect from all future titles through a visual standpoint, seemingly neglecting the narrative, gameplay and overall experience of the game in the process. 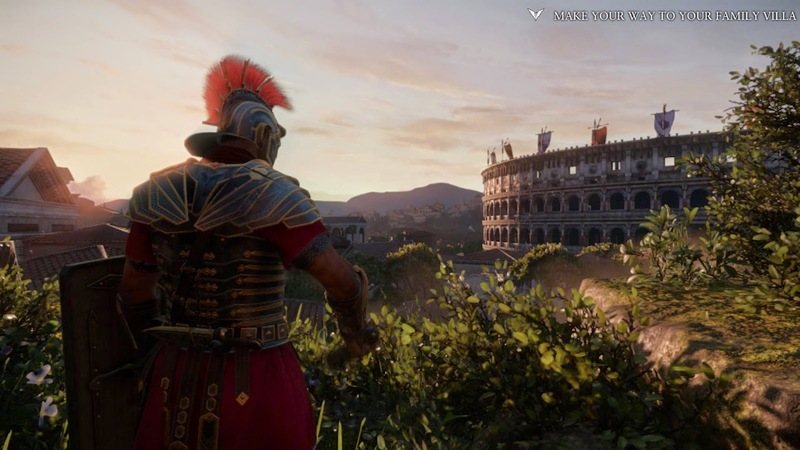 Ryse: Son of Rome is a very short game. I began play on the hardest mode available and had completed it within seven and a half hours, so if you're looking for a long game, this likely won't be your first choice. The gameplay is enjoyable and the music is good in that it never really feels out of place, but the one thing I feel lets this title down is that nothing is truly memorable. I find this to be a huge shame because the setting and art direction is as superb and accurate as I could imagine any game within this time period to be, but as stunning as Ryse' visuals are, looks alone aren't enough to fully justify a title. 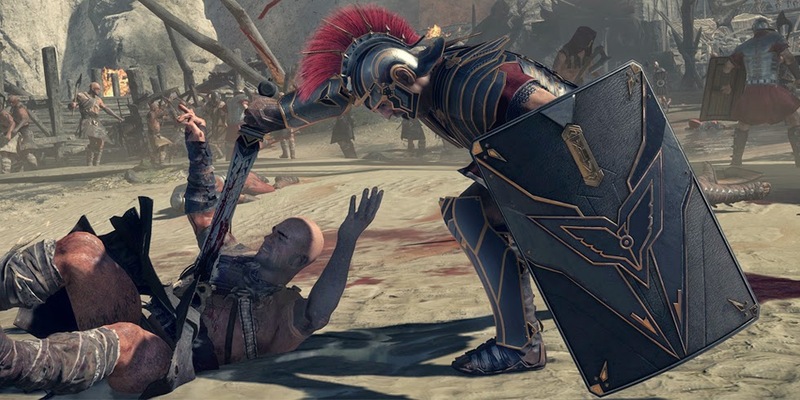 I found too many other issues prevented any form of immersion within this ancient world, leaving Ryse as nothing more than an average title with amazing visuals.